On September 9th 2012, Social Enterprise Africa Fashion Guide turned one year old and has decided to host their anniversary event in Nairobi, Kenya. 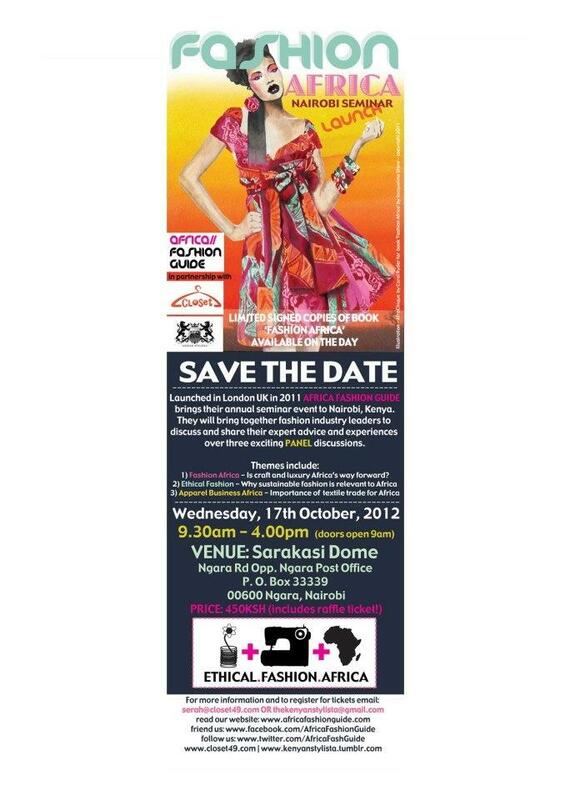 This 1 day event planned for Wednesday 17th October will consist of a panel discussion with international industry leaders entitled Fashion Africa 2012. Hosted in collaboration with notorious Kenyan blogger Kenyan Stylista, and reputable online retail site Closet49, the conference will act as a means to discuss and promote the full supply chain of African Fashion Design, Textiles, and Manufacturing and thus communicate this to a larger, global audience through media. Fashion Africa – is craft and luxury Africa’s way forward? Our ‘Fashion Africa’ Conference, Seminars and Workshop programs were created to be a catalyst in the industry. The aim was always to help change perceptions of the fashion and textile industry in Africa and to ask those in Africa working in garment design and textile manufacturing what THEY think and need. Future plans are to keep these discussions on the continent bringing where possible international industry leaders to these events and thus bringing the African garment trade to the forefront of the international fashion industry. Susan Wong of CapitalFM Kenya…. And more…! Due to public demand, Africa Fashion Guide Founding Director, Jacqueline Shaw will also be presenting her self-published coffee table book ‘Fashion Africa’ at the conference. This will be a rare opportunity for guests to purchase for the first time in Kenya a limited number of signed copies of this popular book. ‘Fashion Africa’ the book features 48 designers who produce or source in Africa with many from Kenya, along with illustrations, interviews and photographs. Please note: That though this is an open event, please register your space early to avoid disappointment. Africa Fashion Guide is the brainchild of Jacqueline Shaw a professional fashion designer, a visionary and an eco-entrepreneur with a big heart for Africa, Fashion and International Development. Jacqueline concepted Africa Fashion Guide with the focus to promote the African fashion and textile industry to the greater global textile industry. It is a one stop shop for fashion professionals, students, retailers, magazines, bloggers and all those interested in African fashion and textiles as a way to promote this industry and bring links between African designers, craftspeople, manufacturers and textile designers with UK and EU fashion design companies and consumer markets, as well as with retailers worldwide. Africa Fashion Guide is an information based platform for birthed with the focus to create an awareness campaign that promotes the full supply chain of the African fashion and textile industry with an ethical perspective and create links with the greater global textile industry. 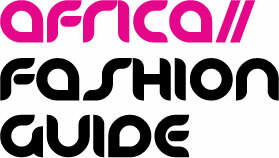 The Africa Fashion Guide website gives you up to date information and news on all aspects of the full supply chain of the African fashion and textiles industry. A not-for-profit social enterprise promoting sustainability within Africa’s fashion and textile industry.